Let’s all scream for ice cream! Summer is in full swing and we hope that you are enjoying every minute of it. The outdoor parties, grilling and ice cream are all synonymous with summer. We have to agree that there is nothing better than eating an ice cream cone or popsicle on a warm summer evening. Ice cream is a huge part of our history and our culture, so much so that in 1984 President Ronald Reagan deemed the month of July as National Ice Cream Month. Ice cream remains a huge part of American culture and is also an economic staple of the US dairy industry. 9% of all the milk produced by US dairy farmers is used to make ice cream. Although most of us may “scream for ice cream” during the hot and humid days of July, those with sensitive teeth may scream for a different reason. People who have sensitive teeth may experience shooting nerve pain when something cold, like ice cream comes in contact with their teeth. Teeth sensitivity can vary on a case to case basis, but one of the most common causes of sensitivity is exposed dentin. Our teeth are covered with a hard outer covering called enamel. Beneath the hard outer covering of our teeth is a layer of dentin which contains microscopic nerve fibers. The dentin layer can become exposed due to dental decay, toothbrush abrasion (excessive/rough tooth brushing), eating acidic foods, grinding teeth, gum recession or using many teeth whitening products. Teeth sensitivity can be treated by a dentist and the cure could be as simple as switching to a “sensitive” toothpaste or incorporating a fluoride rinse into your daily routine. 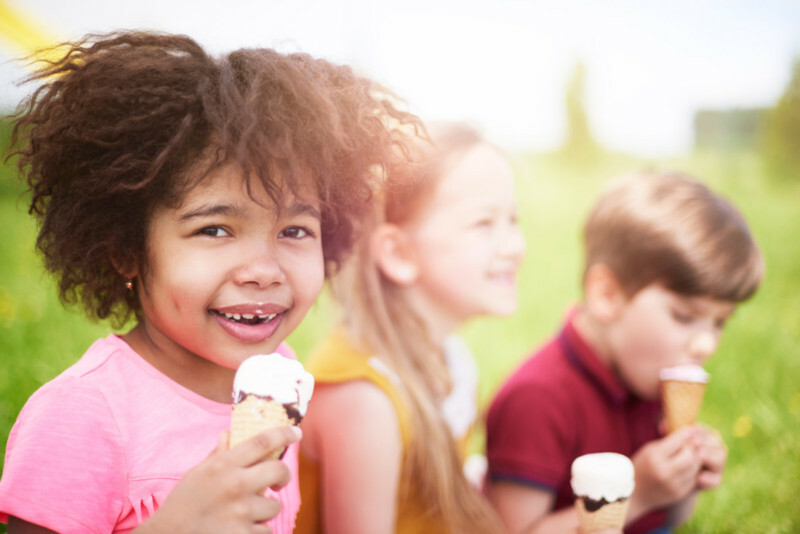 If teeth sensitivity is keeping you from participating in National Ice Cream Month, make sure to contact our practice and make an appointment at our office. We’d love to see you and help you enjoy all that summer has to offer. The content of this blog was provided by the American Dental Association. Image by Flickr user m01229 under Creative Commons Attribution-ShareAlike 4.0 license. The content on this blog is not intended to be a substitute for professional medical advice, diagnosis, or treatment. Always seek the advice of qualified health providers with questions you may have regarding medical conditions.